Children show scars like medals. Lovers use them as secrets to reveal. A scar is what happens when the word is made flesh. Contribute to Gratitude and Trust by sending us your affirmations. Sign up for affirmations and inspiration to keep you gratefully in the moment and trusting of the future. Now Available. 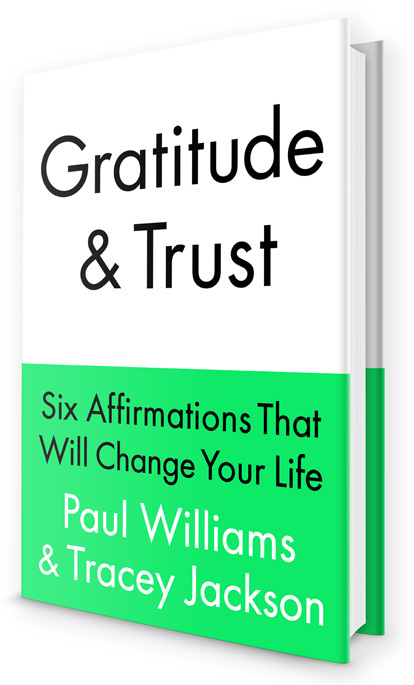 The book combines the knowledge Paul has gained in the twenty-four years he has spent working in the recovery movement, healing both himself and helping others to heal and Tracey's lifelong quest for peace and a daily routine to get her through the ups and downs of life. Copyright © Gratitude and Trust. All Rights Reserved. Design by Kind Company.